iText 5-legacy : How to create hierarchical bookmarks? How can I create a hierarchical bookmark structure in PDF using iText? How can I create a hierarchical bookmark structure (as shown above) in PDF using iText? The key is to use PdfOutline and to pass the parent outline as a parameter when constructing a child outline. Can I do this in an existing pdf? 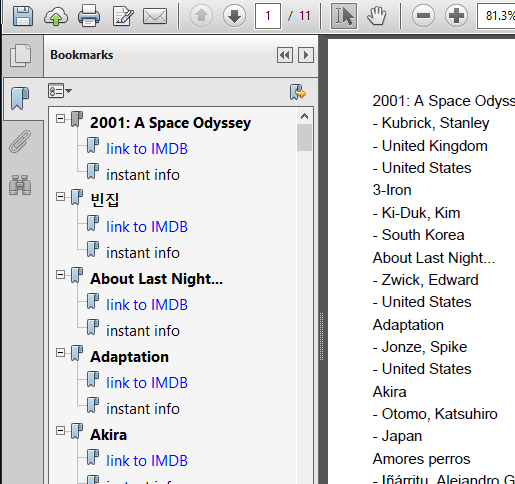 I mean without creating new PDF, I want to add bookmarks to an existing pdf. Note that PdfStamper is the class we need when we manipulate an existing PDF (as opposed to PdfWriter which is to be used when we create a PDF from scratch). Why can I only add a Chapter to the document body and not add a Chapter to create a TOC? I need to read the bookmark names for a reconciliation application that I am building.